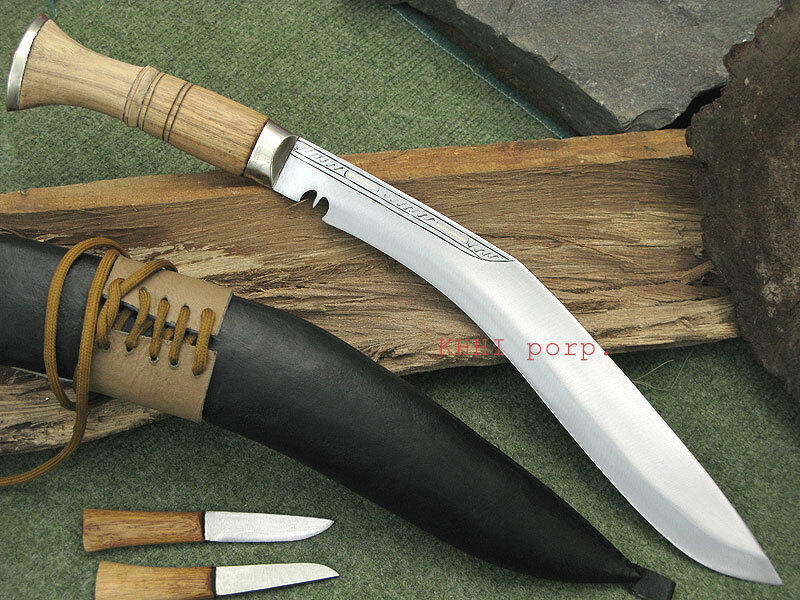 Improved or advanced feature of the SiruPate Khukuri makes it an attractive kukri than just a mere hard cutting tool.. It is an improved design of the famous SiruPate models; built newer, fresher and better than the regular ones. The unique white wood handle of the blade and white frog with fasten-up lace distinguish this SiruPate from its siblings and others. These improved or advanced features of the 12” SiruPate also makes it an attractive kukri and more than just a mere hard cutting tool. The shape is actually the influence of the maker from a leaf called “Siru Paat” found in the hilly regions of Nepal. 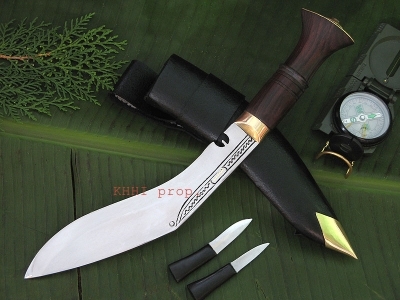 Since the shape of the knife highly resembles the leaf the name is given so as Sirupate Kukri. 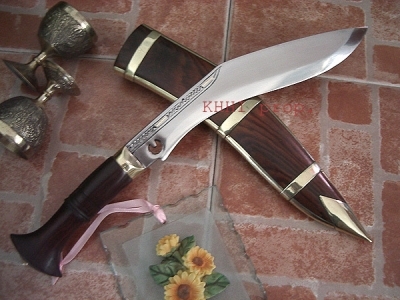 With advance additional features from Khukuri House, KHHI, this kukri knife is called as the 'Advance Sirupate Kukri'. The 12” semi-polished long blade of 12” SiruPate kukri gives better coverage and hence better performance. Also, since the blade is slender the over-weight (hard to handle) issue is satisfactorily take care of. The improved scabbard has a loosen-up fastening frog for the belt to go through to fasten as required. Plus, the lanyard loop fixed at the tip of the scabbard prevents the kukri from wobbling around the thigh portion while in motion. 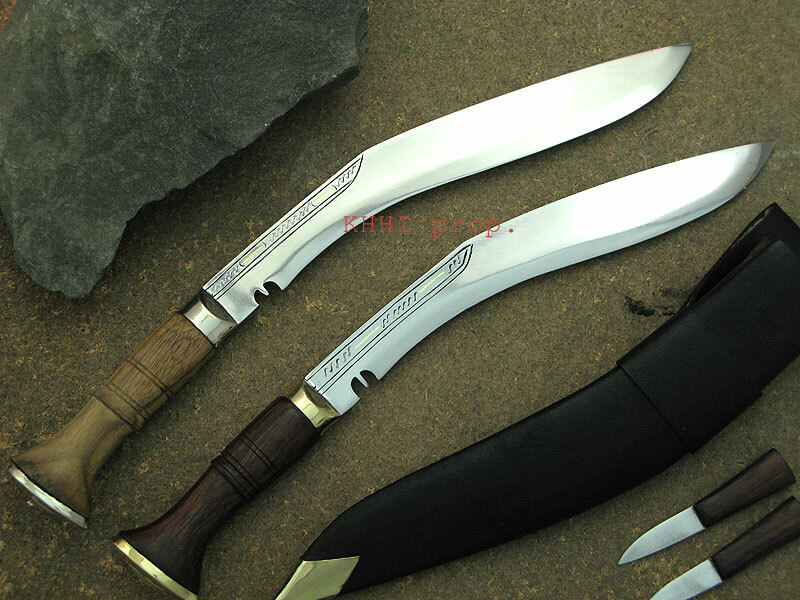 The effortlessness, easiness and effectiveness of 12” Sirupate Advanced Khukuri make this knife important and functional, be it in indoor or outdoor or even in untamed sites.